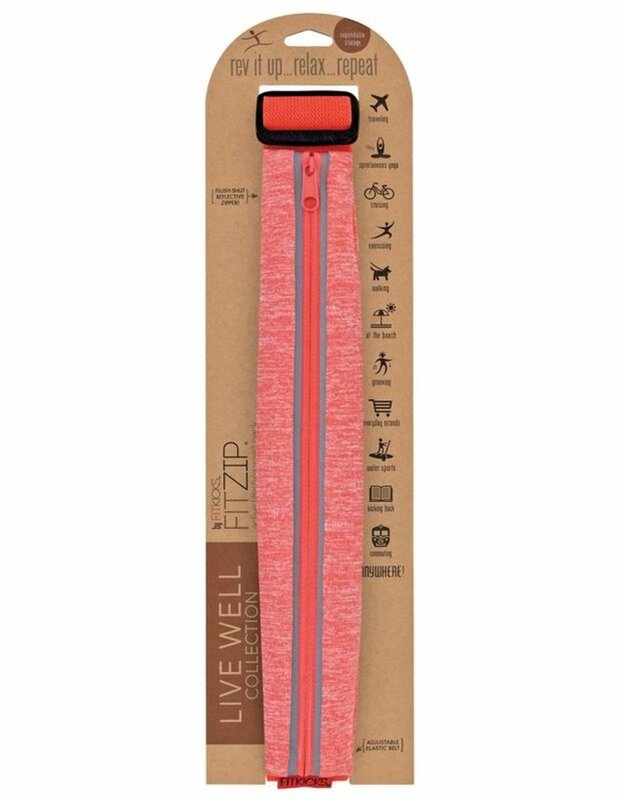 The FITZIP waist pack is available to coordinate with the new FITKICKS Live Well Collection. So stretchable you will not believe how much you can carry! 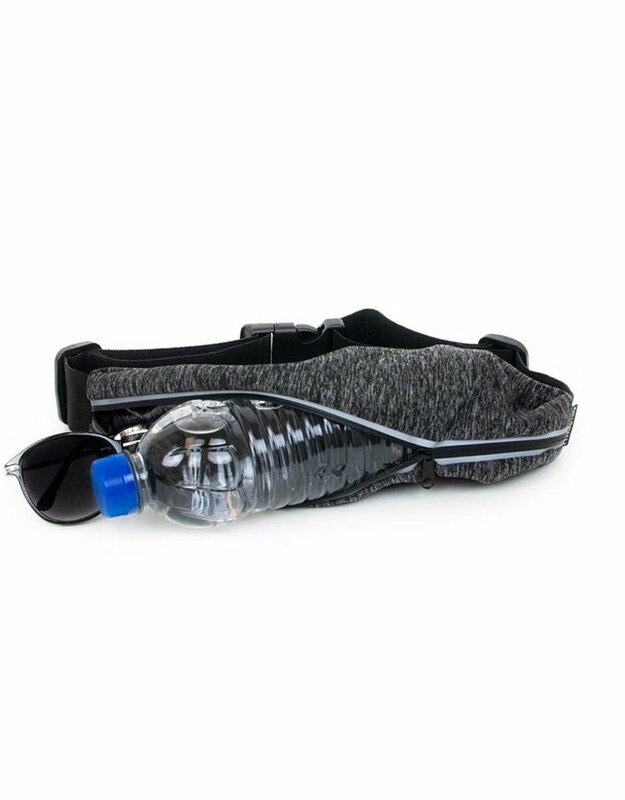 This handy pack can fit a water bottle or large mobile phone (phablet). 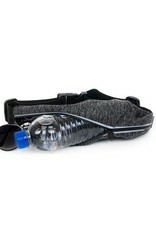 The interior has a water-resistant lining to protect your valuables from sweat. And the flush-shut zipper feels smooth, stays shut tight, and provides a reflective surface to on-coming lights. 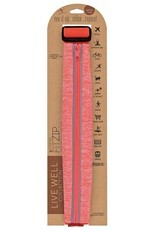 The elastic belt has a sturdy snap closure; the FITZIP adjusts from about 27 to 40 inches. Pouch is approximately 11.5 x 1.5 inches when empty.